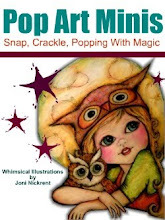 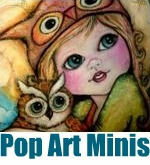 Pop Art Minis: D.I.Y. 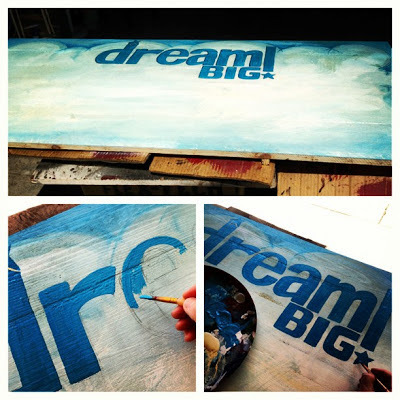 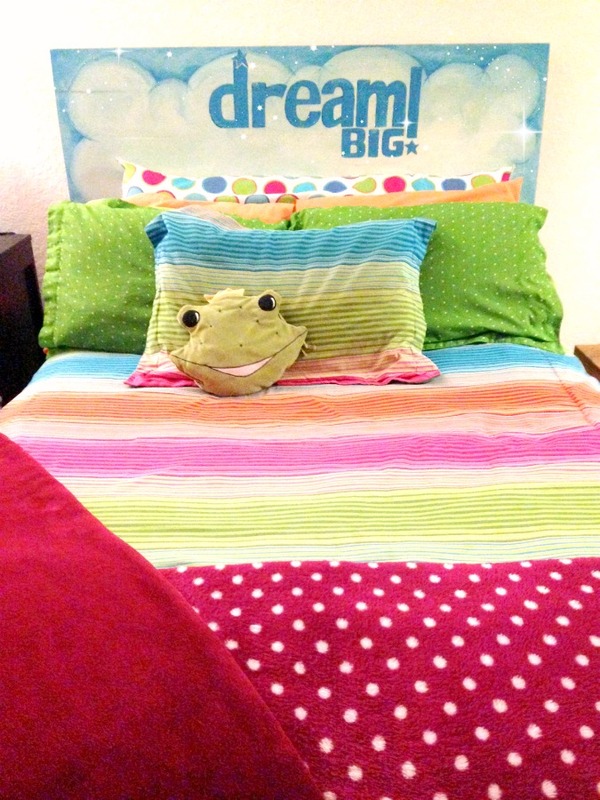 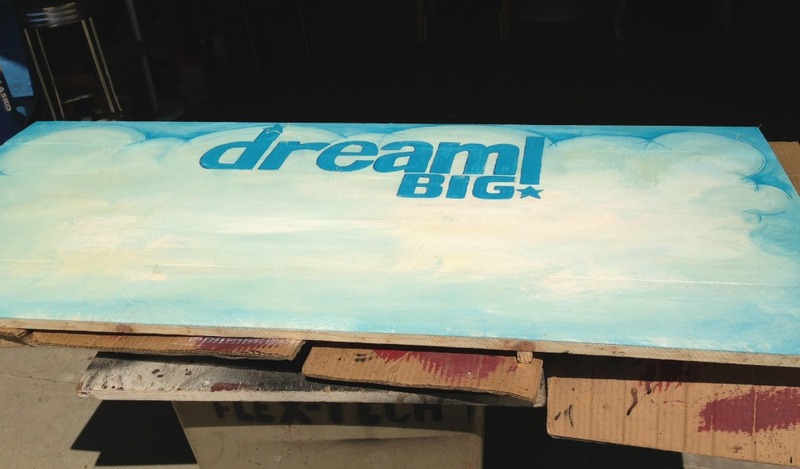 Dream BIG Headboard Project! D.I.Y. Dream BIG Headboard Project! I've been wanting a headboard for my Pop Art Minis room and today was the day that it came to be! 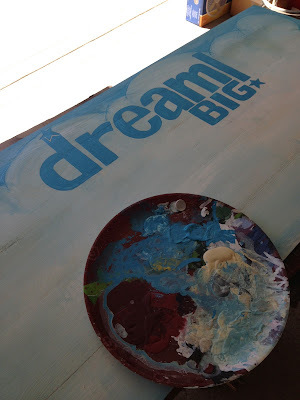 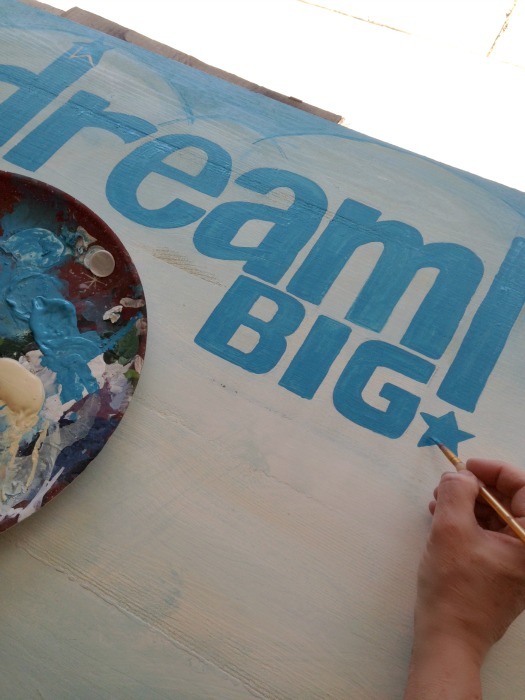 After my husband created the headboard canvas out of wood I grabbed my acrylic paints and brushes and before long was floating in the clouds...dreaming big! 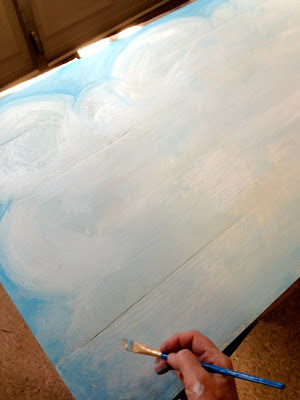 Painting on the base coat...white, cream...perfect for making clouds fluffy! 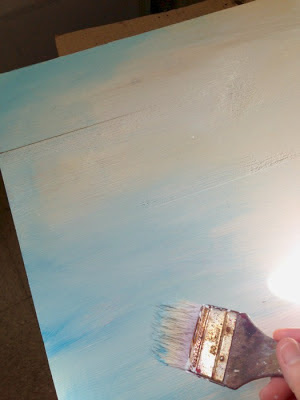 A touch of blue, brushed and blended! 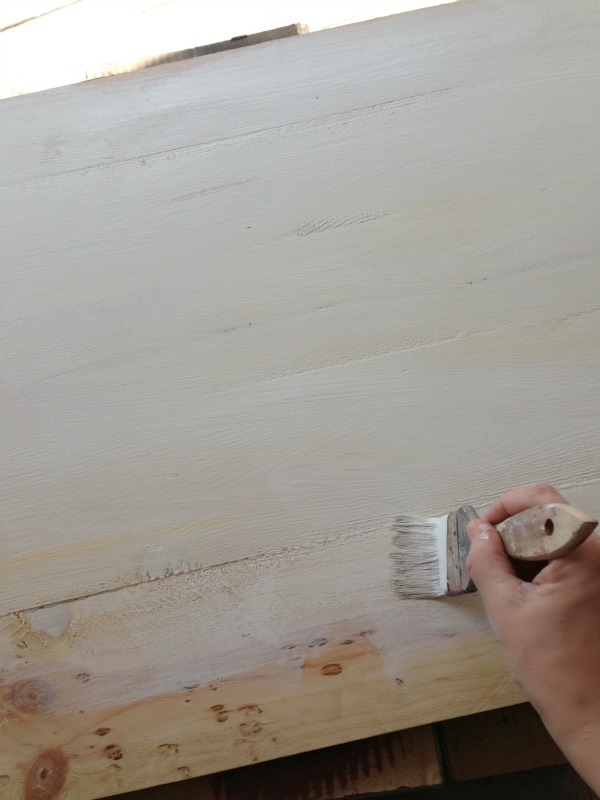 A small brush for adding detail and cleaning up the clouds. 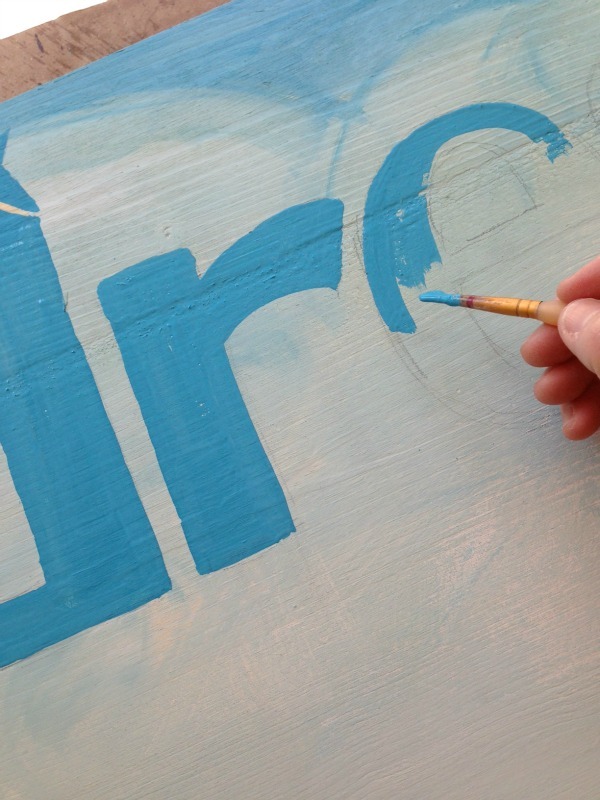 Dry and ready for the letters...fontastic! Penciled in, let the painting begin! 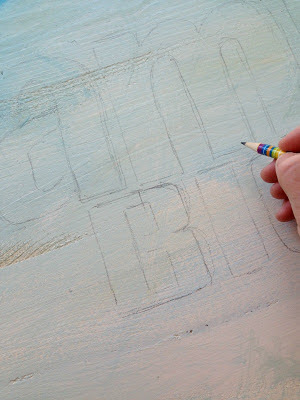 Almost done, oh, what fun! Painting is done, drying in the sun! Next up reaching for the stars, moonlight, sweet dreams!